Time to sell your condo in Riviera Dunes? Read about today's resort-market buyer. 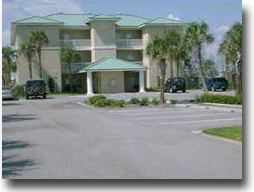 Riviera Dunes condominium is located in Perdido Key, Florida, fairly close to the Alabama state line and also a short drive to the regional airport in Pensacola, Florida. Riviera Dunes was built in 2000 and features large floor plans, shares an outdoor pool, and is situated near a wide variety of local area attractions and entertainment venues. Please let us know if you would like further info for Riviera Dunes or any other condos, homes, or real estate along the Gulf Coast or would like to schedule a private viewing by emailing info@condoinvestment.com or by calling 251-Area-Pro (251-273-2776) for immediate assistance.